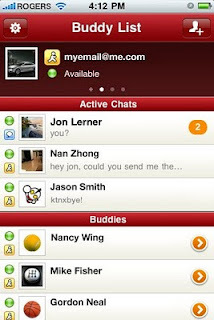 After the dawn of Yahoo Messenger Chat Room, the new era of Chatting and Instant Messaging change to Mobile Messenger. 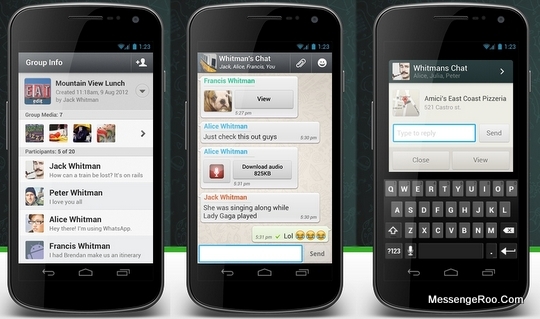 One of the most popular client at this time (by 2013) is Whatsapp Mobile Messenger. What make this Mobile IM Client so popular is its ability to synchronize the mobile number as its username and all the contacts will be added automatically as Whatsapp’s friendslist. No need to create new username, no need to register: just need to enter the nickname or avatar (optional). Right now, Whatsapp claimed on having more than 100 million user. As long as we knew, despite of your blackberry version, whether it BlackBerry Curve 3G 9300 / 9330 or BlackBerry Strom 2 9550 or even Blackberry Torch 9800 Slider, you can’t used Facebook Chat (using XMPP Jabber Server) directly from your BB. 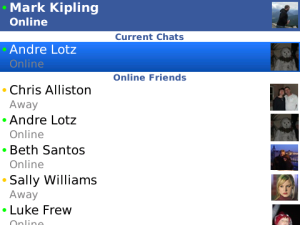 That why you need to use third party chat client (currently no official client) of Facebook Chat for Blackberry Apps to do that. As long as we remember, we ever wrote about this in the past at here [Facebook Chat for Blackberry by Using Multi IM Protocol for Mobile Phone Client, ebuddy, palringo etc]. If you had an iPad (whether is WiFi or Wifi + 3G) or iPhone (3G or 4G Generation), or iPod Touch that already run using iOS 3.0 / higher (such as the latest version OS: iOS 4.2 Softwre), and you wanna use Yahoo Messenger, Google Talk, Facebook Chat, AIM, ICQ or Windows Live Messenger to chat with in just ONE Client (usually called as All in One Chat Client), you can try IgniteIM Multi Protocol IM Application for your iPad iPhone or iPod Touch. As we said above, the Ignite IM would help you to connect to all of Instant Messaging Protocol that been supported, such as AOL Instant Messaging, ICQ, MySpaceIM, YM, GTalk, WLM and FB Chat. Of course you need to had each of the account of the IM Protocol. 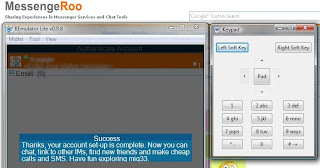 As you might knew, Mig33 is one of Mobile Instant Messaging Service that has a huge number or users (said 40 million users) and it can be used in most of Mobile Phone. To day, Mig33 began to spread their service into Android Community with released Mig33 for Android Phone (read the official blog released at here). It said, as long as you are using Android Phone that run under Eclair aka Android 2.1 Version or higher (Froyo Android 2.2 or Gingerbread) you can try and used Mig33 on your SmartPhone — for example LG Optimus T (Android Froyo), Samsung Galaxy S (Android 2.1 Eclair), or Motorola Droid Pro (Android 2.2 Froyo). For Developer: You can create virtual goods such as games, to make you able get the revenue on mig33 (share). Mig33 also available to used VoiP, SMS, and others virtual goods. What the different between Google Talk and others Instant Messenger / Messaging Service? Though many of others IM services also used XMPP / Jabber Protocol just like GTalk (Facebook Chat, iChat also used XMPP Protocol), but the GTalk has an ability to store online all the log of Chat in your Gmail Account. 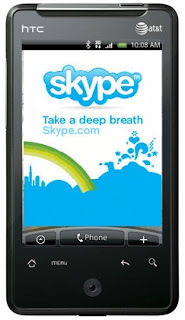 If you wanna install Skype Client on Your Android HTC Aria SmartPhone we strongly recommended that you use HTC Aria Android Market and then search from the market with a keyword “Skype”. As we already knew, HTC Aria attached with Android Enclair aka Android 2.1 Mobile Operating System that means, you need to install Skype for Android Mobile Phone. The Update is coming. Here are the download link of Yahoo! Messenger 10.0.0.1270 Offline Installer, Stand Alone Download. This is the US (English Version), You can find the other version by editing the link that we ever wrote the how to before.